A quaint bespoke baker residing on the leafy streets of South-West London. Jemima bakes wonderfully whimsical illustrated wedding cakes, and she designs extraordinary stationery. Jemima’s specially tailored illustrations create an intimate narrative for your wedding day, beguiling designs that will delight your guests from Save the Date to cutting the cake. Whether it’s placeholders or menus, invitations or Save the Date, Jemima designs intimate illustrations for one of a kind wedding stationery. Continue the theme with one of Jemima’s illustrated hand-painted wedding cakes. Lovingly handmade to order, choose between the almost too lovely to eat hand-painted fondant or decadent, romantic buttercream. Jemima’s marvelous cakes taste magical too, with a selection of heavenly flavours to choose from. Happily serving London and beyond, contact Jemima to arrange a free consultation. This is a distinctly personal service, so if you’re stuck on a theme or if you’re searching for unique wedding ideas, Jemima is always happy to provide thoughtful and heartfelt creativity to help you find that perfect narrative for your cherished day. Beautiful illustrated wedding stationery by british designer Jemima O'Lone. Save the Dates, Invitations and stationery for on the day! Based in South London. 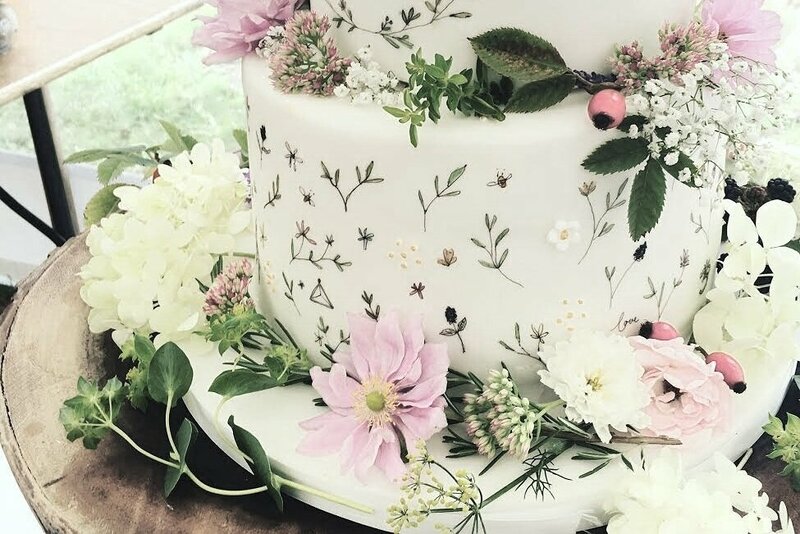 Utterly delicious and beautiful hand painted wedding and celebration cakes. Delicious flavours and unique hand painted designs! Mimolo Design as seen in Perfect Wedding Magazine, Burnett's Boards, Coco Wedding Venues and Conde Naste Brides Magazine.